What's the best you guys can come up with here? Between the two IMO there's enough to get a balance of material from everybody and avoid weak/out of place tracks. I would rather combine MIU with the Mike songs from Almost Summer, throwing in a couple of Dennis songs. And then do the same thing with LA and Celebration. I always forget what slim pickings are on Light Album - with all the talent these guys had, all the unreleased songs they had in their pockets, they came up with this. And the icing on the cake is that horrendous disco track. I actually think MIU is a really solid album - full of harmonies and great chords..it has a lot of life. But sadly you can tell the band wasn't "tight" in their recordings, and that mostly yellow album artwork is pretty depressing. This is the tracklist I came up with. I tried to get equal amounts from both albums, but man it was hard to find much of anything on LA. 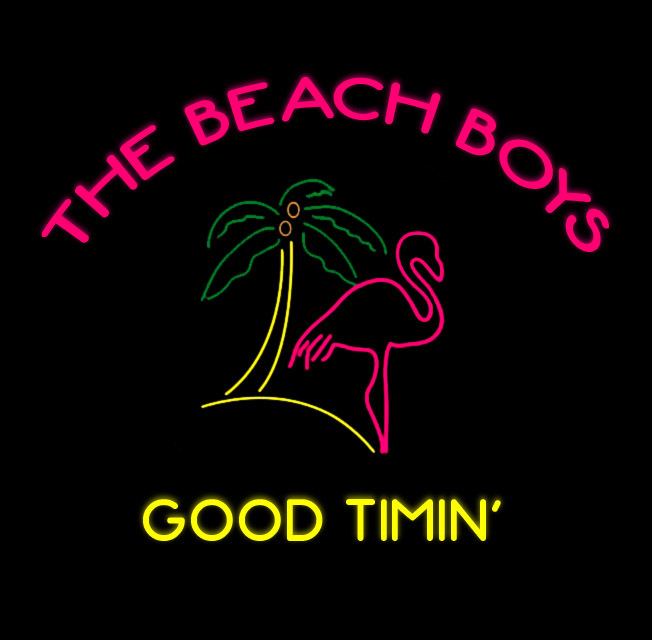 Good Timin is a classic and I felt it has to start the album. Side one ends on a somber note with My Diane, followed by side two opening with the rocking She's Got Rhythm. Side two, being a bit more lackluster than the first side, but still an impressive group of songs. I know I'm pretty much alone with this, but MIU is one of my faves by The Boys. It's fun, nothing too deep, but it doesn't feel forced, you know? Must be all those Brian Wilson compositions, I guess. LA? Make the disco track shorter, Shortnin' Bread longer (in style of long Can't Wait Too Long, with different variations coming up) and throw in a few Dennis tracks he was working on at the time. And voila, you'll have a classic odd AOR album there. I think the inclusion of a polished version of California Feeling would have substantially improved either MIU or L.A. Light. She's Got Rhythm, Wontcha Come Out Tonight, Hey Little Tomboy and especially Shortenin Bread should have never made it onto a regular album, but maybe a rarities collection. No one in their right mind would name an album MIU. Tried my best to have a good balance of the good sunny carefree material and the ambitious artistic stuff. Everyone shines on this version of the album. Completely in agreement with this. The only thing I don't care for on MIU is the Peggy Sue cover. Drop that and add "Why" from MIC and it's good to go. LA on the other hand... I'm not sure how to fix that one, but at least it's listenable outside of HCTN. I think I mentioned this in a post a few years ago. Keep in mind what the music scene looked like in 1978. This was the era of yacht rock- Christopher Cross, Michael McDonald, Gerry Rafferty, etc etc etc. It's easy to bash on MIU a little with 40+ years of hindsight. But really, this was a neat little album that was completely in step with the times when it came out. I call MIU the "Beach Boys yacht rock album". It should have been a much bigger hit than it was. Thanks for the responses guys - going to try some of these playlists out. I saw a couple people used other unused tracks (i.e. Adult Child tracks, California Feelin, stuff from that second Christmas Album, Dennis Bambu recordings or otherwise), feel free if you feel it fleshes them out. I think both albums have grown on me (honestly except the disco track; I like the sound, so maybe I'll replace it with the single version of that mix) over time tbh. Ok, I will compile an album of songs that come from this time frame, including unreleased stuff and also solo songs. Though not a concept album, I want this album mirror the feel of what I imagine would be late 70s California, not in a strict nostalgic way but from that of grown up persons in their 30s. Some of the songs could need some work on the lyrics or maybe completely new ones. We'll just imagine the guys would do that. Also this probably would be a little long for a LP, I don't know. The album will be called "California feeling" (I know, not very creative and already used a lot, but I think it fits). The track order needs to be done correctly, this is just the songs in nor particular order.